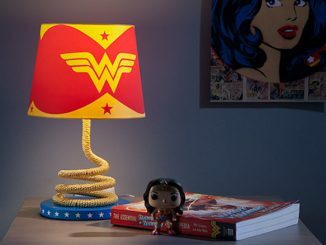 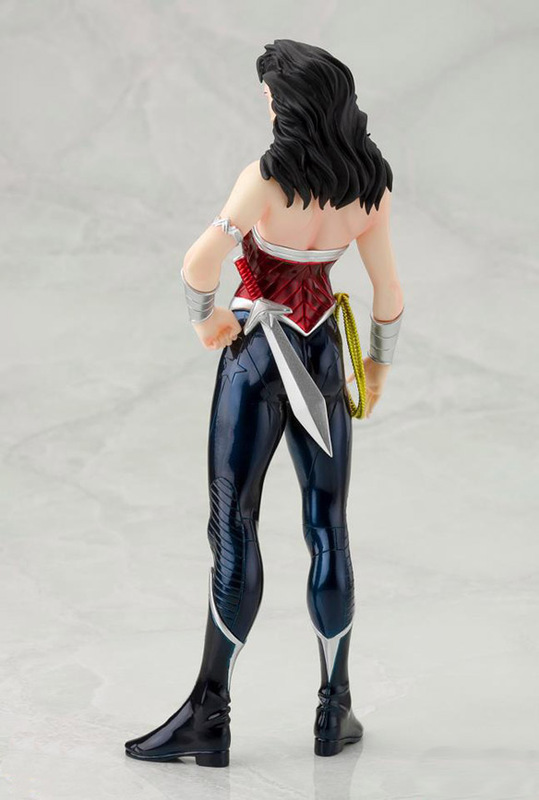 The Amazon warrior is back to rocking the bikini-bottom look these days, but the Wonder Woman New 52 ArtFX Statue captures the princess when she decided to give pants a try. 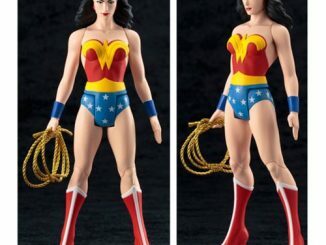 The new look for the iconic character, created by Jim Lee for DC Comics’ New 52 reboot, didn’t go over real well with everyone, but the new look did have Wonder Woman bring something new to the table, in the form of a short sword that’s always within easy reach. 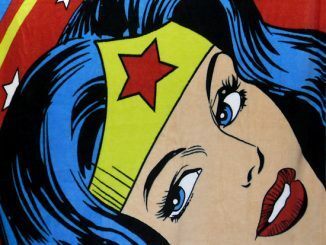 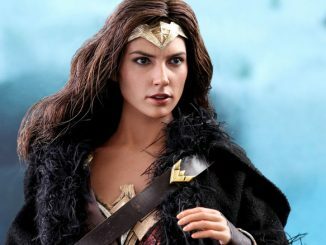 Of course, it wouldn’t be Wonder Woman without the tiara, bullet-deflecting bracelets, and golden lasso, and not even a reboot can change that fact. 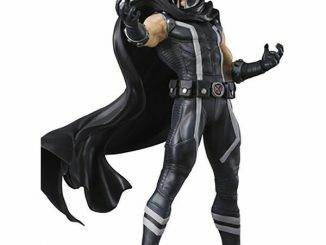 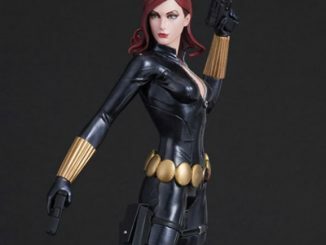 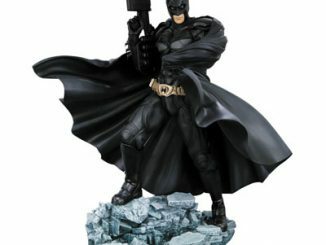 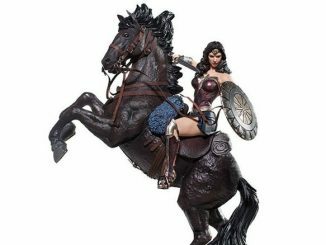 The statue, in 1:10 scale, stands 7 1/2 inches tall on the included magnetic base and includes details such as her armored bodice, textured pants, and even the creases in her boots. 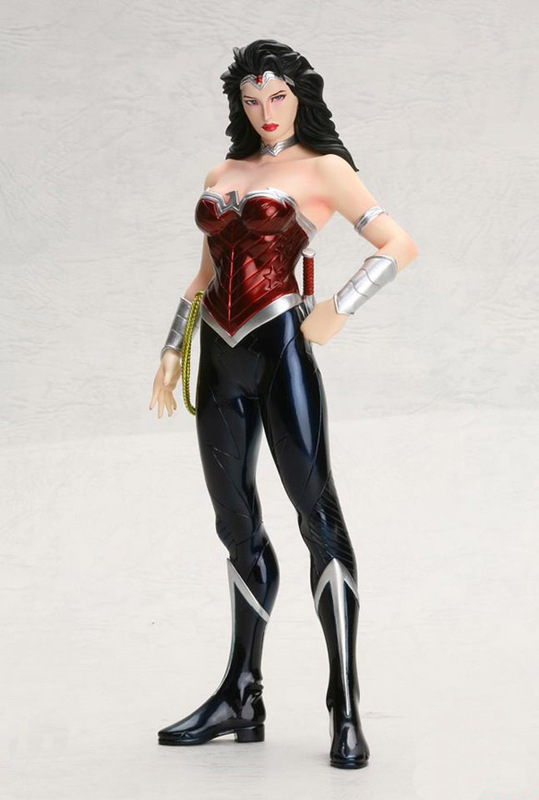 The Wonder Woman New 52 ArtFX Statue will be available in July 2013 but it can be pre-ordered now for $39.99 at Entertainment Earth. 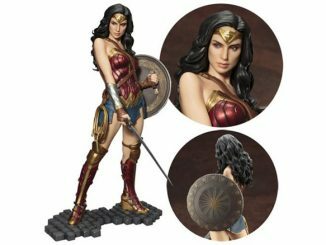 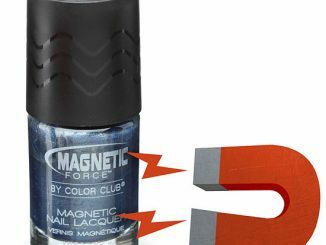 Also available for pre-order on Amazon.com.